Tie-Fast Combo Tool A very handy fishing tool. 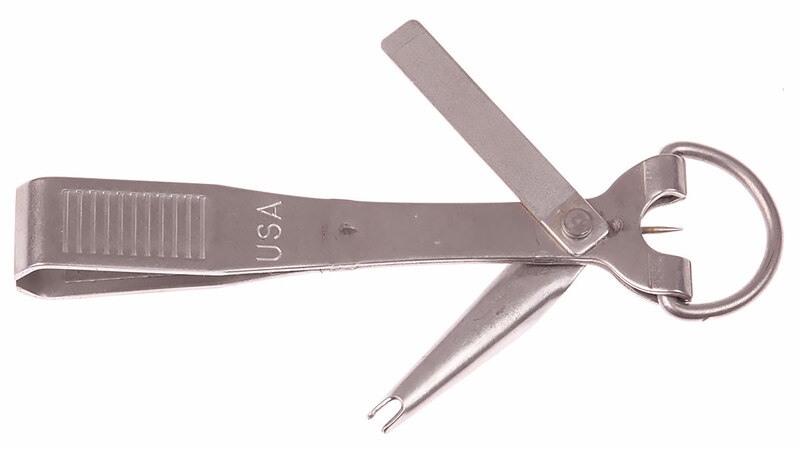 Features a precision sharp clipper that will easily sever large leader and fly line, a knot-tying tool, a hook sharpener and an eye cleaner with a "D" ring attachment loop. This is a heavy-duty, no-nonsense tool that you can depend upon, for both fresh water and saltwater use. Rugged, practical, and can be resharpened. Complete instructions included. Made in USA. Handy tool. I like it.